Also known as Lei Cha - the striking taste of Thunder Tea Rice will definitely make any heart skip a beat! This dish is not only healthy, it is also very delicious! Awaken your senses with its potent mix of herbs that will leave anyone begging for more. Amp up the Thunder with more garlic in your rice and stir fry vegetables to savour the incredible flavours of everything Hakka! Try out the Thunder Tea Rice today! 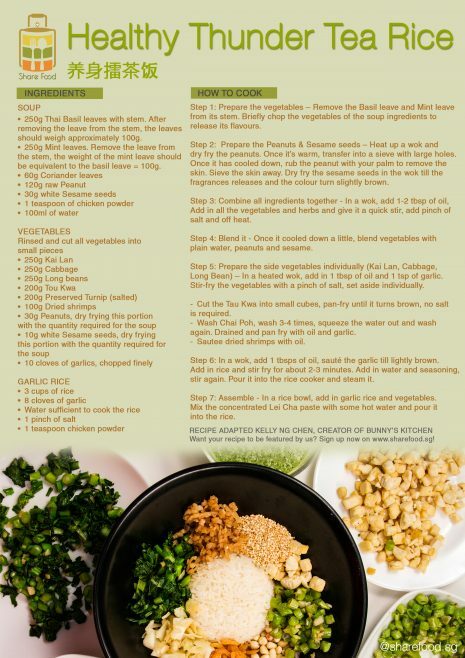 A big thank you to Kelly Ng Chen whom have shared with us this wonderful thunder tea rice recipe inherited from her mum! Also known as Lei Cha - the striking taste of Thunder Tea Rice will definitely make any heart skip a beat! Awaken your senses with its potent mix of herbs that will leave anyone begging for more. 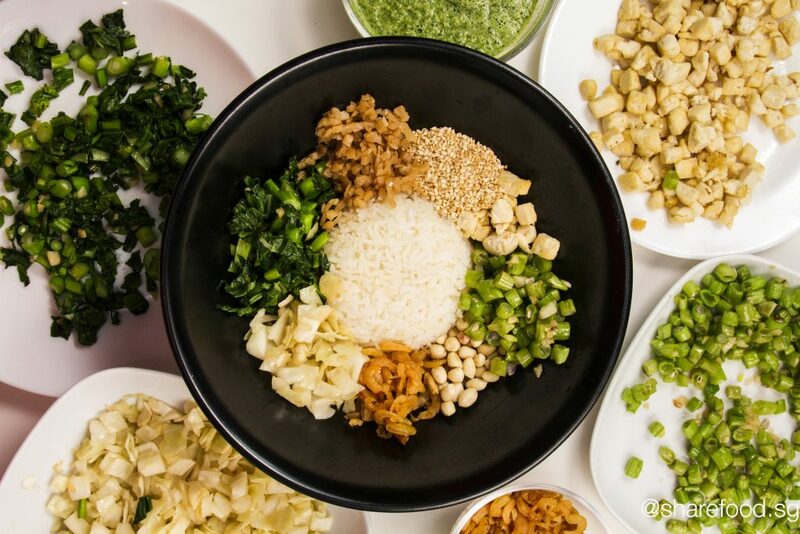 Amp up the Thunder with more garlic in your rice and stir fry vegetables to savour the incredible flavours of everything Hakka!